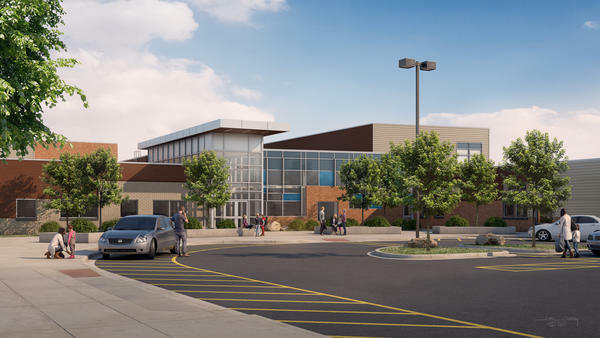 Hudson Elementary School recieved a $4.2 million BEST grant, partially paid for with marijana tax dollars, to help pay to overhaul the 1960s era building. A rendering of the school drop-off zone after construction is complete at Hudson Elementary, it is estimated to be complete July, 2018. “Contrary to what you hear every Sunday, there isn’t enough sin in the world to run the government,” said Henry Sobanet, director of the Office of State Planning and Budgeting. He’s forecasting Colorado’s marijuana tax revenue will be around $300 million next fiscal year. That sounds like a lot, but in the world of state budgets, it’s not. 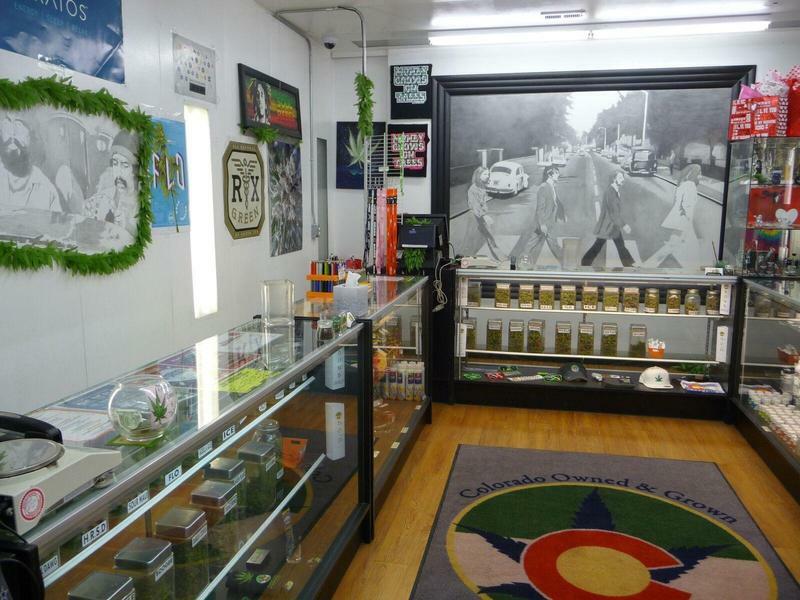 With more states selling recreational marijuana, could Colorado's tax revenue, and the programs they fund be impacted? One of the selling points of Amendment 64, which made marijuana legal in Colorado, was that the first $40 million collected from a special 15 percent excise tax goes to competitive grants for school construction and improvements -- the Building Excellent Schools Today, or BEST, program. Any additional money collected from the recreational marijuana excise tax goes into the general public school fund. That means that even school districts in areas that don’t have local marijuana dispensaries benefit from pot tax dollars -- like Hudson Elementary School, east of Fort Lupton. “The ceiling tiles are asbestos, the cinder blocks are asbestos, the floor tile are asbestos, the glue that holds the carpet down is asbestos, so it’s quite prevalent,” said Hudson principal Greg Dent. That’s one of the reasons why Weld RE-3J, the school district where Hudson Elementary belongs, received a $4.2 million BEST grant, partially funded by the state’s marijuana tax dollars. The competitive grants prioritize health, safety and security issues, like asbestos removal and new roofs. In the grand scheme of the state budget, $40 million for BEST grants isn’t a lot of money. But to schools like Hudson, it makes a big difference. But will Colorado continue to rake in the tax dollars when it doesn’t have a corner on the marijuana market? “Proximity matters, and where an individual is considering getting his or her marijuana matters, and right now Colorado is this marijuana oasis in the west,” said John Hudak, senior fellow at the Brookings Institution. Marijuana is essentially a brick and mortar industry. Because it’s still illegal federally, there is no interstate commerce. You can’t mail it, so no online competition. But that doesn’t mean prices will stay the same. As more people sell marijuana the price and therefore the tax revenue will continue to drop. That market maturation is good for Colorado, he said. Larger companies may get into retail marijuana, but being first in the nation may also mean first in innovation. “As other states come online, maybe it interrupts demand, especially if that increase in demand is tourist driven, but ultimately you’ll see this industry continue to grow at some more earthly steady rate, but not the stratospheric growth rates that we’ve seen in the past,” Hudak said. At Hudson elementary school, Greg Rabenhorst, district superintendent, thinks the public perception that marijuana taxes will pay for all education needs can be detrimental. “There is a myth that marijuana taxes should be paying for a great deal of education funding and it just isn’t. It goes toward this BEST program and essentially since it was put in place, that is what is has gone to. It’s competitive first of all, and it’s a limited pool. So not every district that applies gets it,” Rabenhorst said. BEST grants are not a blank check. Local tax dollars are paying the majority of the $17 million tab to renovate Hudson Elementary School. 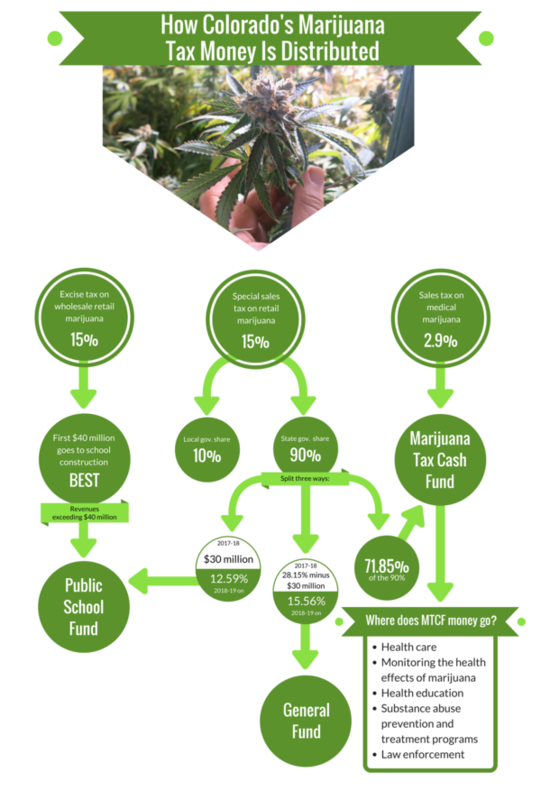 BEST grants aren’t fully funded by marijuana taxes, and they make up less than 1 percent of the Colorado department of education’s annual budget. “It’s not a drop in the bucket when you talk about the cost of education overall, so that myth needs to be dispelled -- or maybe more money from marijuana tax needs to go into education,” he said. A law passed during the 2017 legislative session directs pot tax money transferred to the state public school fund to be distributed to all districts and charter schools. In 2016 that was about $2.5 million. Three years after legalizing recreational marijuana sales in Colorado, lawmakers are turning to pot to fill some gaps in the budget. That's why lawmakers voted to increase a special use tax on recreational marijuana sales from 10% to 15% in 2017. But while the money can be a salve for some of Colorado's problems, it doesn't, and can't, solve them all. Colorado is ramping up efforts to try and prevent marijuana from being diverted to the black market. 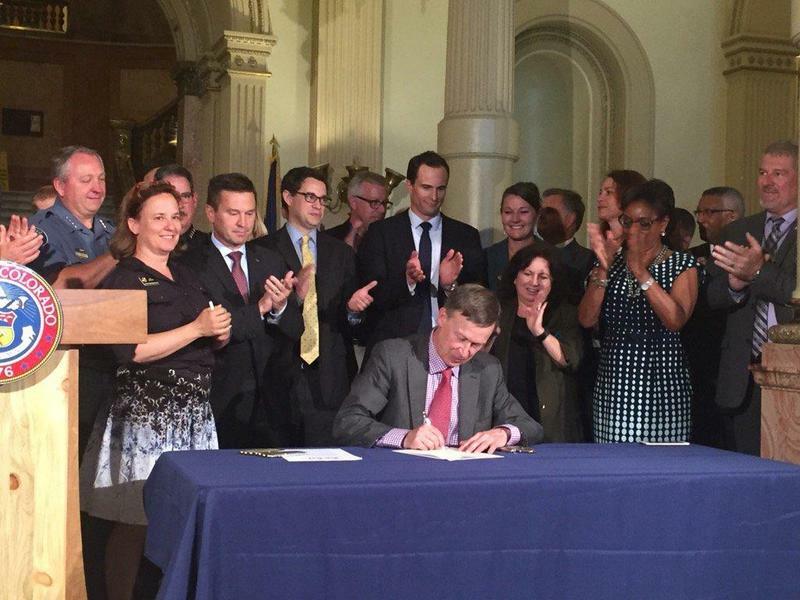 Governor John Hickenlooper signed two bi-partisan bills into law Thursday.